President Trump picked former New York mayor Rudy Giuliani this week for his legal team after other lawyers declined. WASHINGTON — When President Richard Nixon got into legal trouble, a team of top lawyers signed up to represent him. And as Bill Clinton found himself staring down a grand jury, another group of elite attorneys stood at his side. But the lure of representing the most powerful man in the world isn’t appealing to this generation’s cadre of top white-collar criminal defense attorneys: Twelve partners from a total of seven firms have said no to President Trump’s entreaties to help him navigate the special counsel’s probe into Russian meddling in the 2016 election. 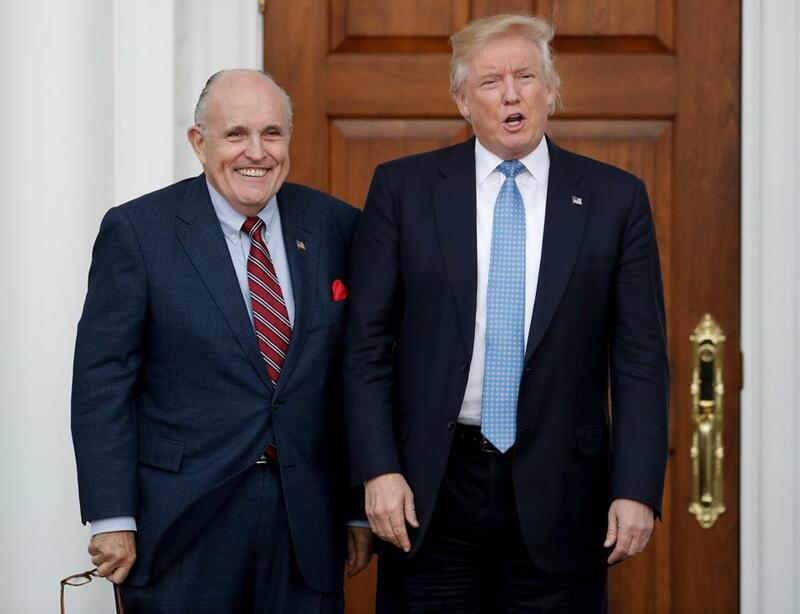 Being turned down time and again led Trump to pick former New York mayor Rudy Giuliani last week, turning to a former presidential candidate and onetime US attorney who was known for his at times imprecise but often effective advocacy of Trump on the campaign trail in 2016. Trump also brought on board a relatively obscure husband-and-wife team of former federal prosecutors with a white-collar criminal defense practice in South Florida. It’s hard to call it a dream team. President Trump’s legal team is seen as lackluster, particularly compared with Robert Mueller’s. How could that hurt Trump? Boston’s legal experts weigh in. The other two new hires, Jane and Martin Raskin, both have experience as federal prosecutors, he as an assistant US attorney in New Jersey, she as first assistant US attorney in Massachusetts. (Her Boston ties go further: A graduate of Wellesley College, she went to Boston College Law School.) But they are new players on the nation’s largest stage and don’t have the typical profile for the defense of a president contending with a sprawling federal investigation. The couple’s recent headline-grabbing cases include successfully defending an ICE agent accused of trying to shake down a drug organization, and representing a woman accused of submitting false claims to Medicare and Medicaid. Struggling to find excellent legal counsel is a problem no other president in modern times has faced, according to historians. Trump supporters say it’s a consequence of the president’s battle with the country’s legal and business establishments, which are intertwined with the most powerful law firms. It also shows the downside of the go-it-alone personality that aided Trump during the campaign, but is leaving him isolated as a leader. He sometimes tweets or talks when his lawyers want him to hold his fire; his pugnacious broadsides sometimes exacerbate his own already considerable legal troubles. Repeatedly calling the probe of possible Russian collusion a “witch hunt’’ on Twitter and calling out Special Counsel Robert Mueller by name may fire up his political base, but it is perceived as distinctly unhelpful in the wood-paneled hush of Washington law offices. The three new attorneys hired by Trump will fill out a team that had dwindled to two main lawyers. One is the memorably mustachioed Ty Cobb, a lawyer who left the well-respected firm Hogan Lovells to work at the White House coordinating response to the special counsel’s probe. He’s advised cooperation with the Mueller investigation, but Trump has mused about firing him, so his fate is uncertain. Then there’s Jay Sekulow. He’s also the top lawyer for the Christian nonprofit American Center for Law and Justice, which has paid $5.5 million to members of his family and $23 million to their firms, according to a Washington Post report on how the Sekulow family benefits from the charity. And he hosts a daily radio show broadcast live on terrestrial and satellite stations where he occasionally discusses the investigation. “You cannot make this stuff up!” Sekulow said on one episode after accusing the staff at Trump’s Justice Department of being biased against the president. 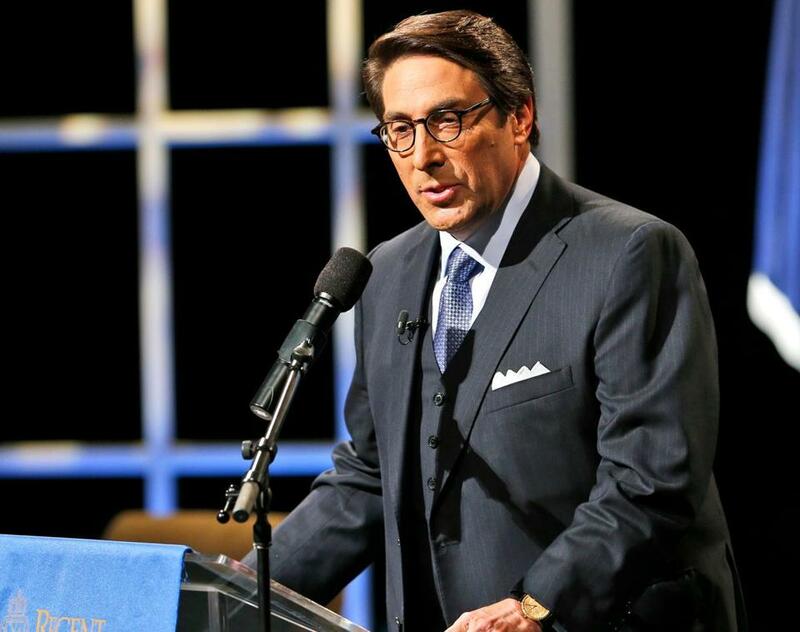 Jay Sekulow is one of President Trump’s lawyers. An opening on the team arose on March 22 when attorney John Dowd, who was serving as an outside counsel to Trump, departed. That has left Trump without a lead defense lawyer with white-collar experience for the last four weeks, a time when problems have grown beyond the special counsel’s probe. Prosecutors in the Southern District of New York opened up a whole new avenue of investigation on April 9 when they seized records from the office and hotel room of longtime Trump lawyer and fixer Michael Cohen. The churn in legal representation comes as major questions loom for the president: He must decide whether to continue cooperating with the special counsel’s probe, and also whether to sit down with Mueller for an interview. 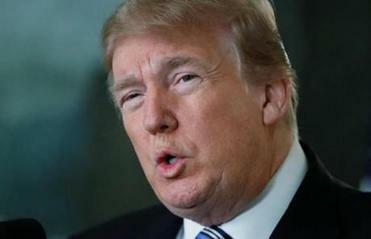 Trump has talked about firing Mueller and also has considered a broader shake-up at the Department of Justice, which could throw his legal strategies into further chaos. “What we’re seeing with President Trump is really unprecedented,” said Timothy Naftali, a historian and former director of the Richard Nixon Presidential Library and Museum. During the depths of Watergate, Nixon had a squadron of high-power lawyers to walk him through the process. “Nixon’s problem was that he wasn’t honest with his lawyers. And he didn’t really allow them to defend him,” he said. It was the same for Bill Clinton, who was under investigation for most of his presidency. “Clinton was easy; we had no trouble getting lawyers. They were fighting for it,” said Robert Bennett, Clinton’s lawyer in the civil case brought by Paula Jones, who accused Clinton of sexual harassment. Lawyers who’ve watched firms turn him down say it’s a combination of factors. There’s Trump’s reputation as a very difficult client who will undercut, change his mind, and publicly humiliate. Managing partners at top firms also fear Trump is so polarizing that their practice would lose clients and talent if they’re associated with him. The most recent lawyer to turn down Trump was Steven Molo of Molo Lamken LLC, a New York firm that specializes in complicated criminal litigation. Molo declined to comment on the decision, which was first reported by CNN on April 15. Others to reportedly say no to Trump, according to a variety of news media reports, include Ted Olson, a partner with Gibson, Dunn & Crutcher; Paul Clement and Mark Filip of Kirkland & Ellis LLP; Robert Giuffra of Sullivan & Cromwell LLP; Brendan Sullivan and Emmet Flood of Williams & Connolly LLC; Dan Webb and Tom Buchanan of Winston & Strawn LLP; William Burck of Quinn, Emanuel, Urquhart & Sullivan LLC; Reid H. Weingarten of Steptoe & Johnson LLP; and Bennett, who works for Hogan Lovells. The Globe sought interviews with all these lawyers; none agreed to comment on why they didn’t want Trump as a client. Some, in other news media reports, have cited conflicts. 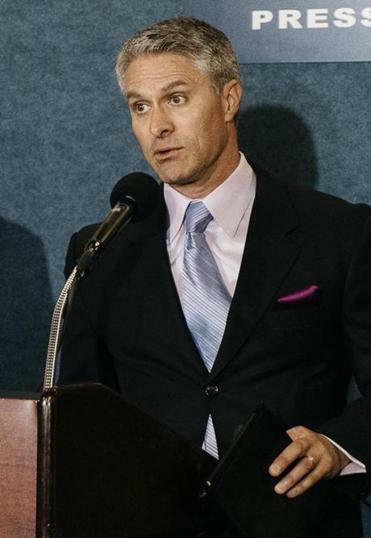 Mark Corallo, the former spokesman for President Trump’s outside legal team, said Trump’s public behavior isn’t enticing to top lawyers. Or, as the former spokesman for Trump’s outside legal team, Mark Corallo, explained, Trump’s public behavior isn’t enticing to top lawyers. Corallo said he left the legal team for personal reasons. In his book “Fire and Fury: Inside the Trump White House,” author Michael Wolff reported Corallo left because he was worried about potential obstruction of justice by Trump and members of his team. But Corallo says big law firms have another, less defensible reason for turning down Trump: They simply don’t like Trump and what they think he stands for, and they therefore don’t want to help him. “It seems to be internal conflicts among the partners,” he said. The Democratic partners, he says, are “throwing temper tantrums” and blocking efforts to represent Trump. Corallo says that the president deserves top legal advice, and he finds fault with those who are refusing him on political grounds. “We have a longstanding tradition in American law that everybody deserves the best counsel they can get,” he said, citing John Adams, the nation’s second president, who famously represented British soldiers accused in the Boston Massacre. Another institutional worry at large firms is that Trump tends to ignore advice, even if it’s the best that money can buy. Some point to the president’s long history of civil litigation as a New York real estate developer and a casino owner, which gives Trump the confidence that he can be his own lawyer. “One of the factors a lawyer will consider is, does he have a client who will listen to him,” said Bennett, who declined to discuss reports that he turned down the president. Firms also are worried that representing Trump could hurt recruitment of the best students coming out of law schools, particularly women, Bennett said. Trump’s new lawyers don’t need to worry about many of these factors. The Raskins are the sole partners in their firm, according to their website. They are virtually unknown in national legal circles. Taking this case will propel them into a new stratosphere of importance. Giuliani, who is already politically allied with Trump, is planning to take a leave of absence from his firm, Greenberg Traurig LLP, while representing the president.